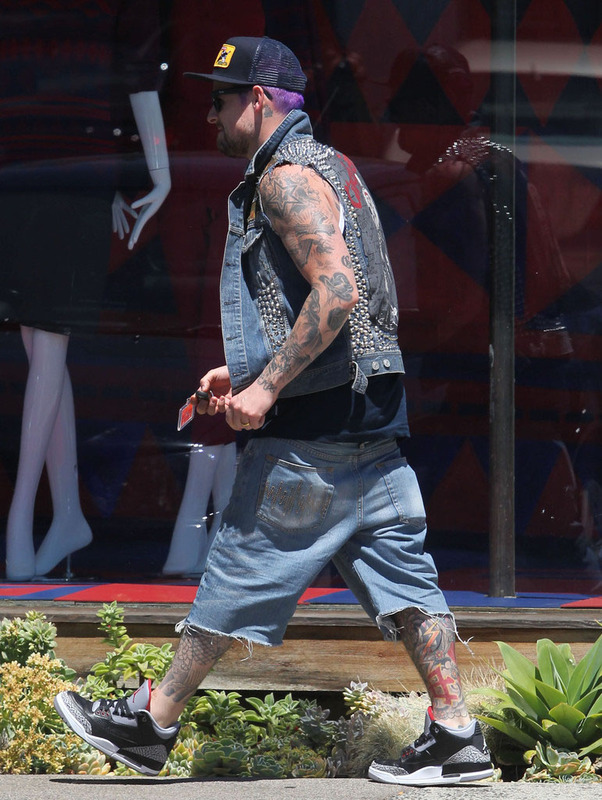 The Good Charlotte rocker hits the salon in last year's Black Friday Jordan release. 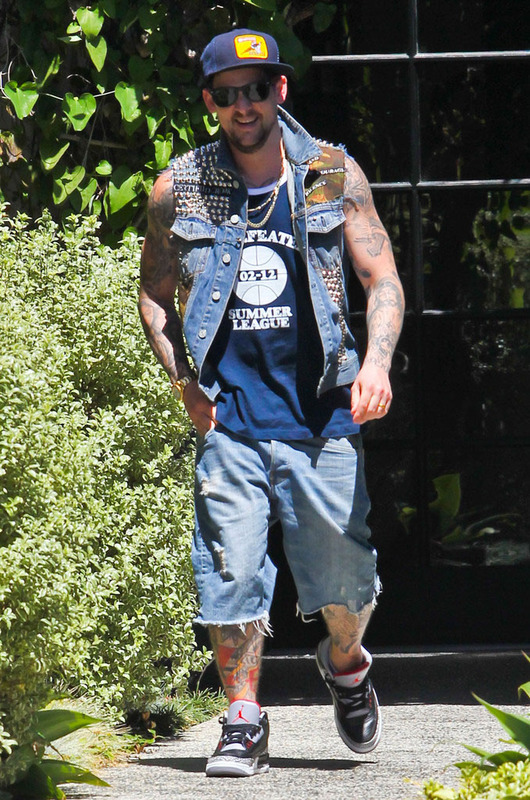 Back in the states after filming the Australian version of The Voice, Good Charlotte's lead vocalist Joel Madden made a run to Andy Lecompte Salon in West Hollywood earlier today to add a touch of purple to his hair. Spotted on the rocker's feet for the trip out was the "Black Cement" Air Jordan 3, which returned to retail last Black Friday. 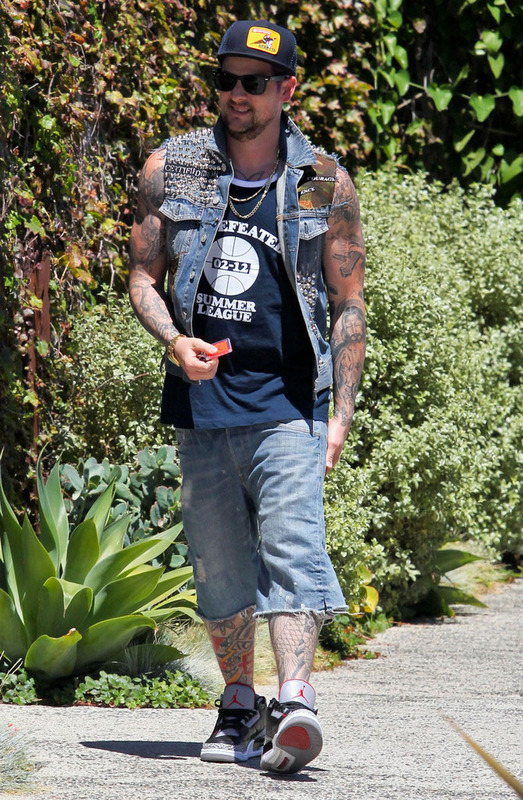 Also, in true sneakerhead fashion, you'll notice that Joel has converted his orange Jumpman hang tag into a keychain. 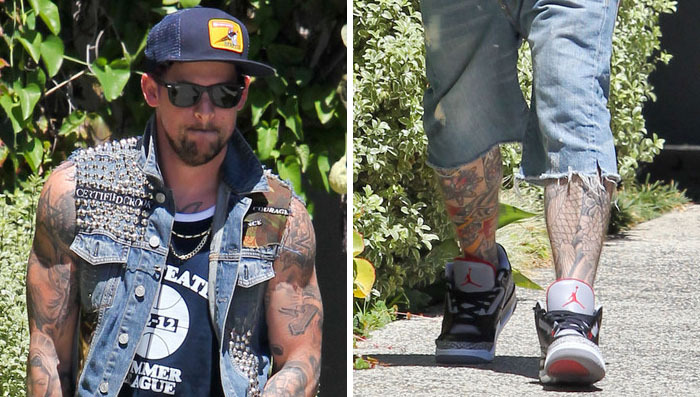 Read on for more photos of Joel Madden in "Black Cement" 3s.